For the 5th straight year the team behind the Roadfood website will take over a big chunk of real estate (the French Market) in the French Quarter of New Orleans with their oddly named Foodfest. 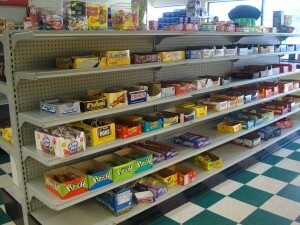 Pic is of the interior of Tag’s Deli in Chalmette LA. Home of the finest muffaletta in the state.